More zucchini! While sometimes it can feel like a chore to figure out how to use an ingredient I have on hand, experimenting with zucchini recipes has been fun (and delicious)! 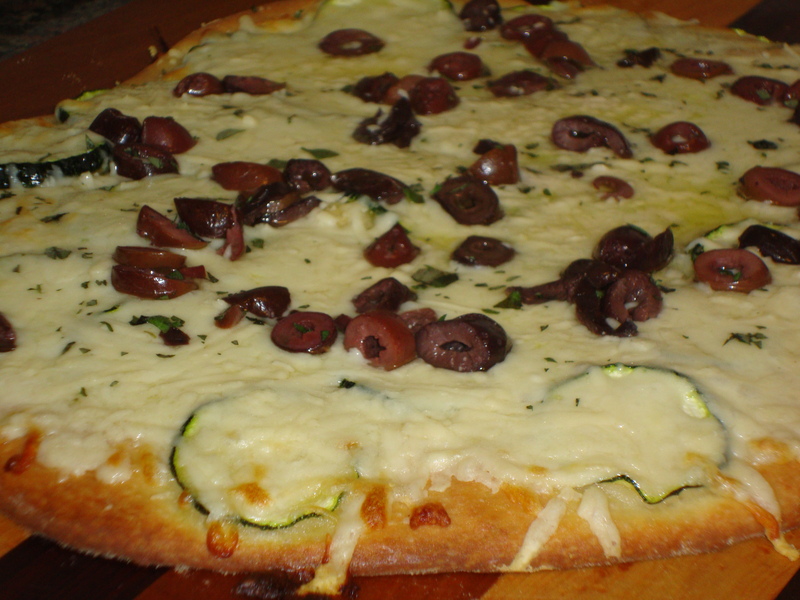 This one for zucchini and olive flatbread was ahhh-mazing. This is a Giada de Laurentiis recipe, and SO simple you’ll be shocked. The key is good pizza dough, fresh zucchini and quality pecorino romano. I bought my pizza dough at the farmer’s market from an Italian restaurant — SO good — but get the pre-made kind in the freezer section and you’ll be fine. I buy my good, hard cheeses at Costco — they come in big blocks but a cheese like pecorino romano or Parmigiano Reggiano will last you a long time in the fridge. It’s worth it for the quality of the cheese. 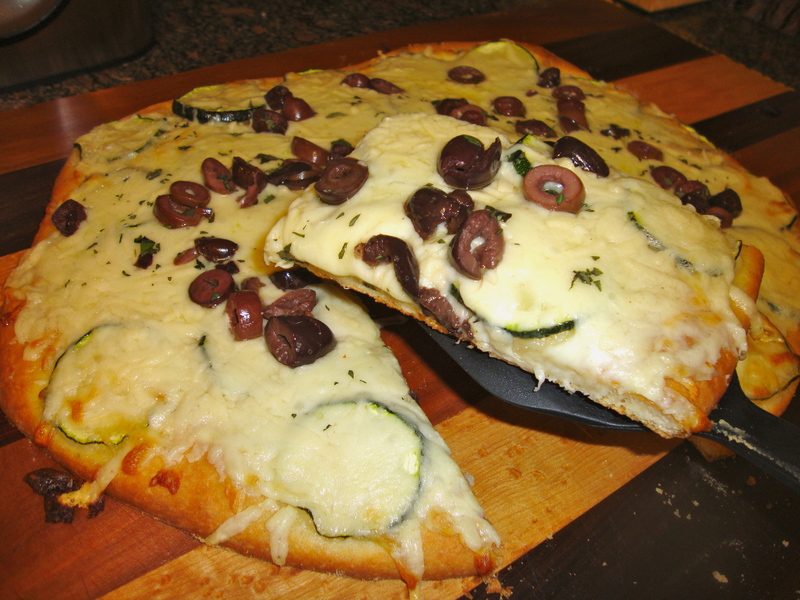 I loved the crunch of the super fresh pizza dough, freshness of the zucchini, topped with the melty mozzarella and salty pecorino romano cheese and olives. It’s also great reheated! I used kalamata olives instead of black olives — I think either one would be amazing, but the kalamatas added a bit more saltiness and a definite kick. I’m a big kalamata fan, so I loved it. For leftovers, cut the remaining flatbread into single serving slices, wrap in foil and throw in the fridge. Place an oven rack in the lower third of the oven. Preheat the oven to 450 degrees F.
On a lightly floured work surface, roll out the dough into a 12-inch circle. With a pastry brush, brush 1 tablespoon of the oil over the dough. Using the tines of a fork, prick the dough all over. 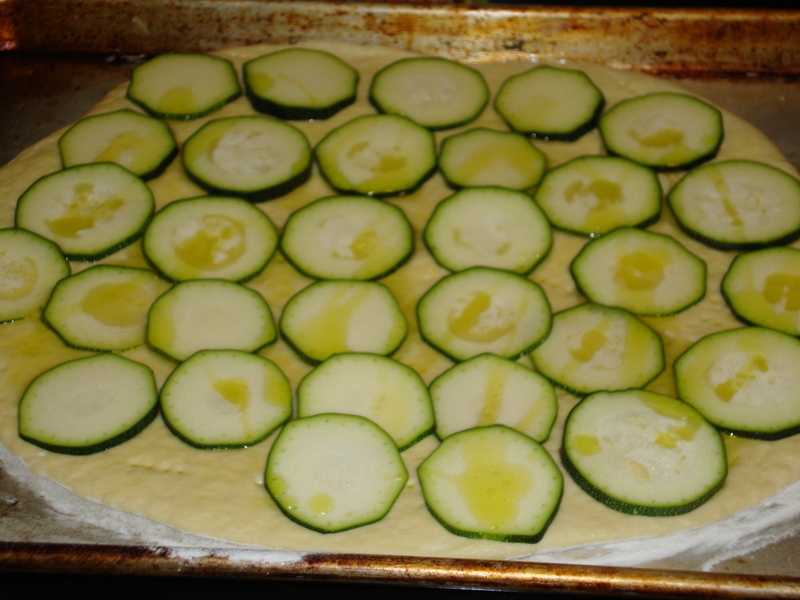 Arrange the zucchini slices in a single layer on top of the dough. Drizzle the zucchini with oil. Bake the dough for 18 to 20 minutes until the edges begin to brown. 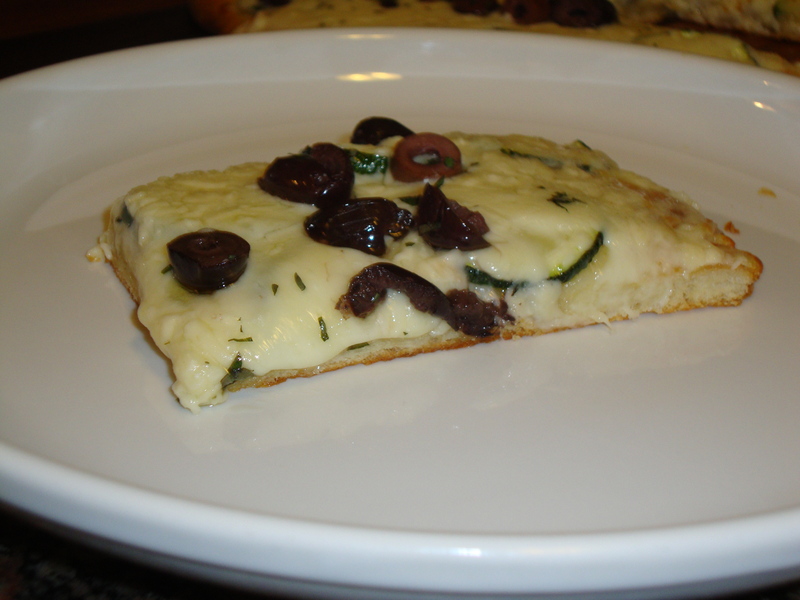 Remove the bread from the oven, sprinkle with 1 tablespoon of oregano, the cheeses, and the olives. Bake for 5 to 7 minutes until the cheeses are melted and bubbly. Sprinkle the flatbread with the remaining oregano, cut into wedges and serve. 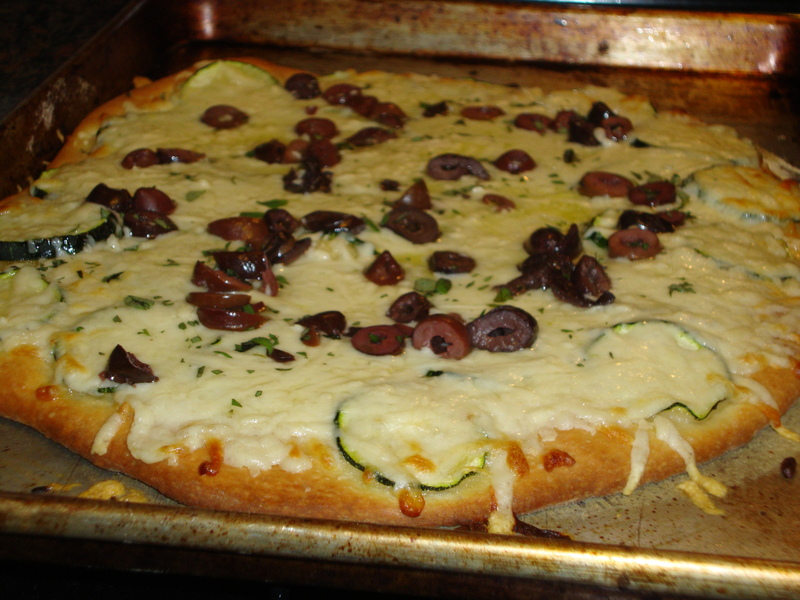 This entry was posted in Recipes, Uncategorized and tagged cheese, flatbread, olives, pizza, vegetarian, zucchini by Tricia. Bookmark the permalink.